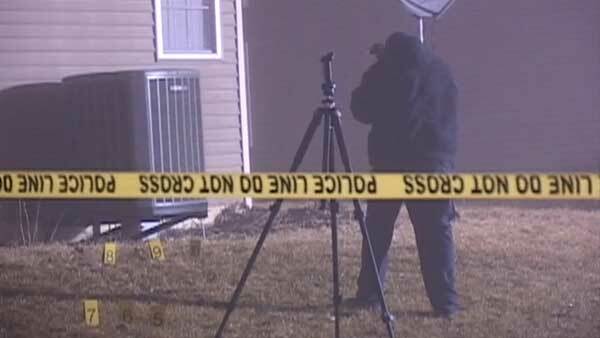 JOLIET, Ill. (WLS) -- Joliet police shot a man who allegedly came at them with two semi-automatic assault rifles. Officers were investigating a report of a domestic disturbance at a home in the 2400-block of Rockwood Drive around 7:50 p.m. Tuesday. When they arrived, officals said the man came out of the house carrying two semi-automatic assault rifles and pointed one at each officer. They ordered him to drop the weapons, officials said, but when he refused, officers opened fire. The man was hit several times. "I was terrified. I stood there a lot longer than I should have. After I saw him shoot the second round, I ran inside my house," said Kelly Fishel, a neighbor. The man was taken to Silver Cross Hospital and airlifted to Loyola University Medical Center, where he is listed in critical condition. The officers were treated for non-life-threatening injuries. Police said they recovered several of the suspect's weapons and are seeking a search warrant to look for more inside the home. The shooting is under investigation. The officers are on administrative leave pending review.